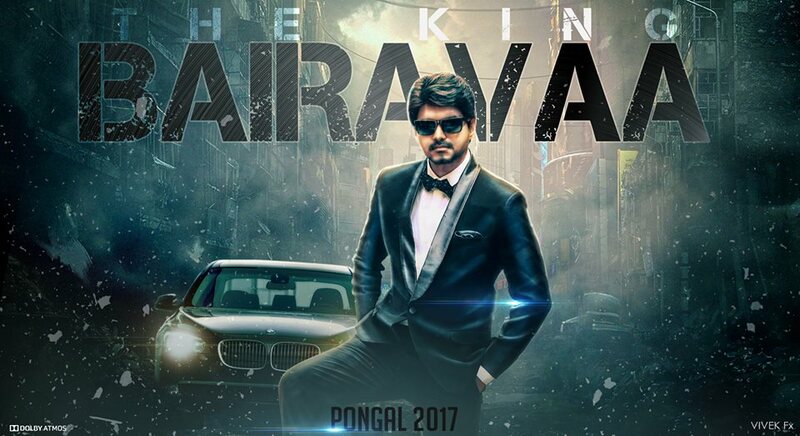 Bairavaa is an upcoming Indian Tamil language action film written and directed by Bharhathan and produced by Vijaya Productions. The film stars are Vijay and Keerthy Suresh in the lead roles, while Sathish, Jagapathi Babu, Daniel Balaji, Mime Gopi, Sreeman and Sija Rose amongst others play supporting roles. The music is composed by Santhosh Narayanan, the cinematography is handled by M. Sukumar and the film is edited by Praveen K. L. After entering production in early 2016, the film progressed under the tentative title of Vijay 60, before being named as Bairavaa during September 2016. The film is scheduled for release on 12 January 2017.